One common problem that usually comes with urbanization is pollution, especially if there are industrial facilities that emit harmful elements to the environment. While there are regulations and environmental initiatives by the government, it will make a difference if individual property owners do their part in trying to alleviate the existing environmental issues through landscaping. A well-maintained lawn with plants can help absorb rainwater effectively and control flood in a natural way. Furthermore, vegetation can aid in cleaning up the contaminants that are found in the soil, groundwater, and surface water through a process called phytoremediation. Basically, in this process, the pollutants are taken in, concentrated, and metabolized to transform them into harmless by-products. It is common knowledge that trees and other kinds of plants can produce the oxygen that we breathe. However, not all people know that these plants can actually absorb polluting gases through their stomata. This means that they could filter the air and make it cleaner. While trees in the yard can be aesthetically pleasing, it can also serve a vital and practical purpose. Trees bring a cooling effect, providing relief from the hot weather. With this, landscaping is especially important in highly urbanized settings where the concrete structures can increase the temperature, and the high density makes it impossible to establish vast green open spaces. Aside from residential landscaping, the creation of small parks can be an effective solution to this issue, as these can offer shade and a peaceful area where people can rest from the hustle and bustle of the urban environment. Again, this requires landscaping. As landscaped yards can provide outdoor recreation areas, these can improve the overall quality of life of the people living in that particular home. Furthermore, other types of landscape architecture can enhance the well-being of the local community and also provide a venue for social interactions with others who are using the space. Indeed, spending time with nature can have a positive impact on people’s mood and stress levels. 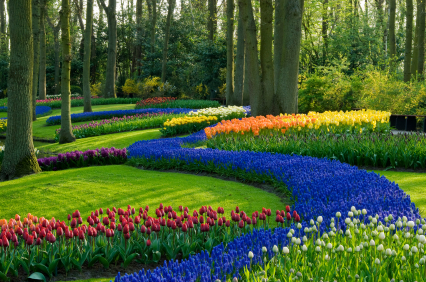 Therefore, it can be said that landscaping can promote better mental health. The points discussed in this article are just some of the reasons why landscaping is necessary. Whether you choose to do it yourself or avail the services of an expert, the fact remains that landscaping can bring tons of benefits. Furthermore, this just proves that landscaping and lawn care is more than just a vanity project.